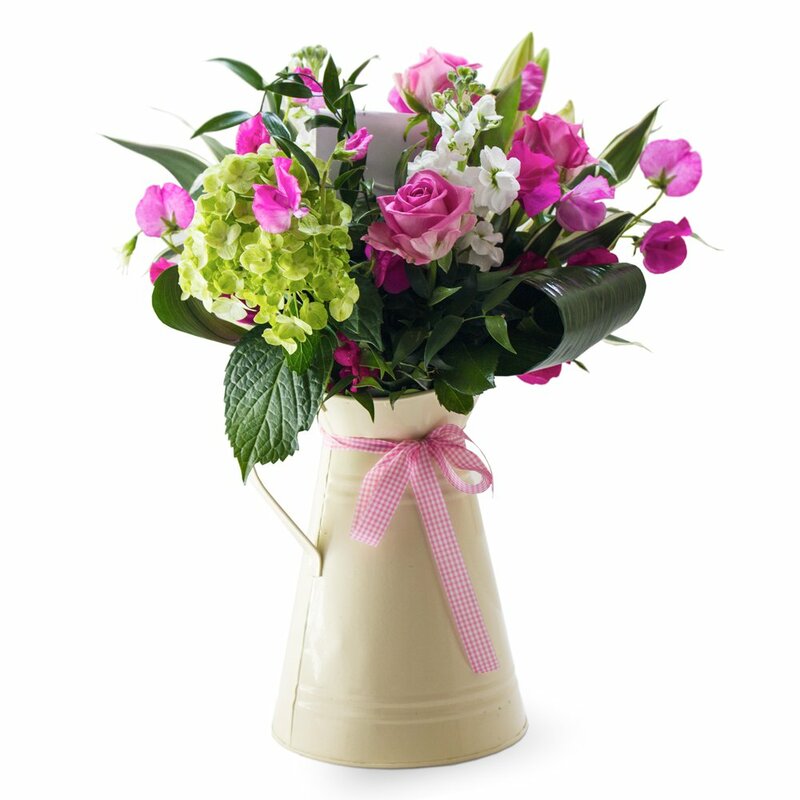 A wonderful variety of whites and pinks lovingly embellished with emerald foliage. Whatever the occasion this arrangment is ideal to let that special someone know how much they mean to you. Container and contents may vary in colour.